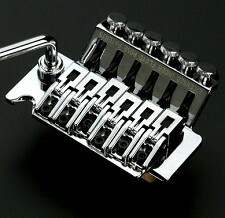 43mm Rear Mount Floyd Rose Locking Nut. Gold includes hardware. 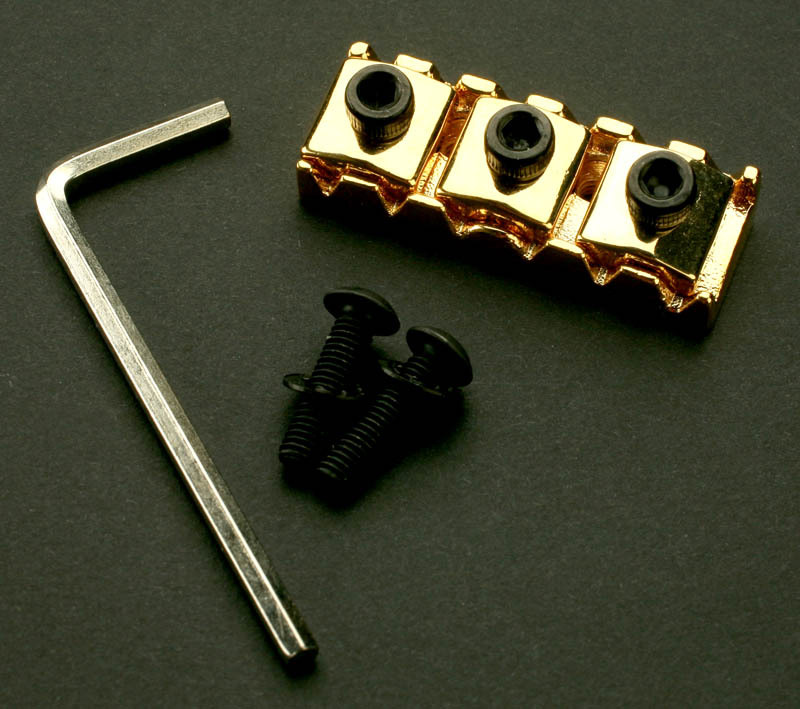 Home > Tremolos > Tremolos And Tremolo Parts > 43mm Rear Mount Floyd Rose Locking Nut. Gold includes hardware. 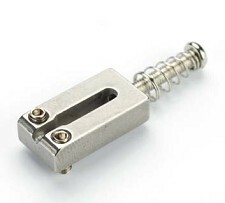 This is the classic REAR MOUNT Floyd Rose style locking nut. 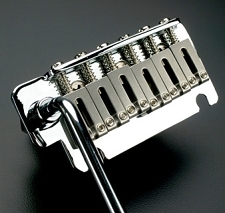 A Direct replacement for most USA made and imported Locking guitars manufactured since the 80s. 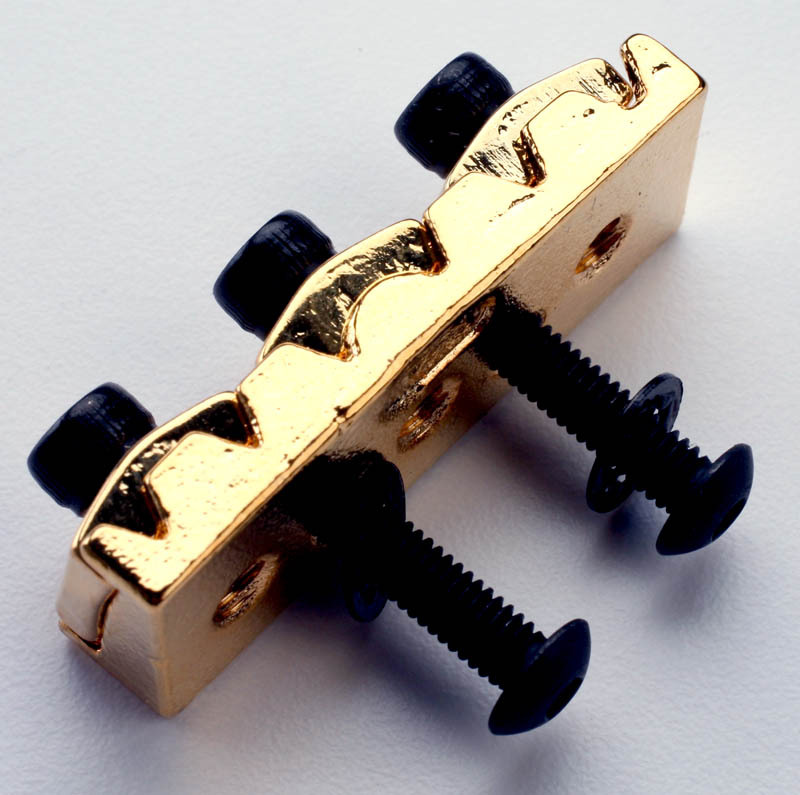 We include the complete nut assembly, screws, star washers and allen wrench. NEW!! 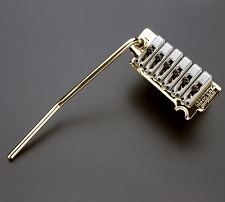 Heavy Duty Dual Locking Floyd Rose Trem- BRASS&STEEL!